When people think of storage, they think of warehouse facilities. When they think of transport, they think of trailers. But there should be more discussions happening about this. Often times we get stuck thinking the only way to store our things is in a storage unit or warehouse. We see storage units everywhere, and warehouse space is available for rent or lease from companies who promise cost-effective, secure storage of your goods. But there are overhead costs and liabilities to consider when making your decision. At Brockman Trucking, we help companies find better solutions. 1.) Storage is more than finding a place to put your inventory or belongings. Warehousing requires transport at both the beginning and end of the storage season. The more you transport inventory, the more you open yourself up to the liabilities of compromised quality. Items shift naturally during shipment, and so shipping multiple times increases your risk. Warehousing requires multiple processes of material handling at both the beginning and end of the storage season. This means moving, stacking, and arranging material in the warehouse facility by hand and/or forklift. It also increases liabilities by requiring the “repacking” of a storage trailer for shipment. 2.) Trailers are for more than moving. When using a trailer, you have flexibility, security, and efficiency. A trailer comes to your location, gets loaded with your inventory, stays stored at your facility, and is shipped when you’re ready to ship. Trailers reduce liabilities because your items sit still until it is time to ship. When using a trailer for both your inventory and your shipping, you load your belongings once, keep them stored, and transport them within that same storage container. 3.) Cost Savings – On average, clients save significantly when using trailers as a means of storage and shipment. Additional intangible savings (such as man hours of additional loading/unloading) vary based on the materials you handle. By and large, the benefits of using trailers for storage of goods and inventory are measured both in dollars and in quality assurance. It’s just a matter of having a different conversation about storage and shipping, and realizing that there are better solutions available to you. 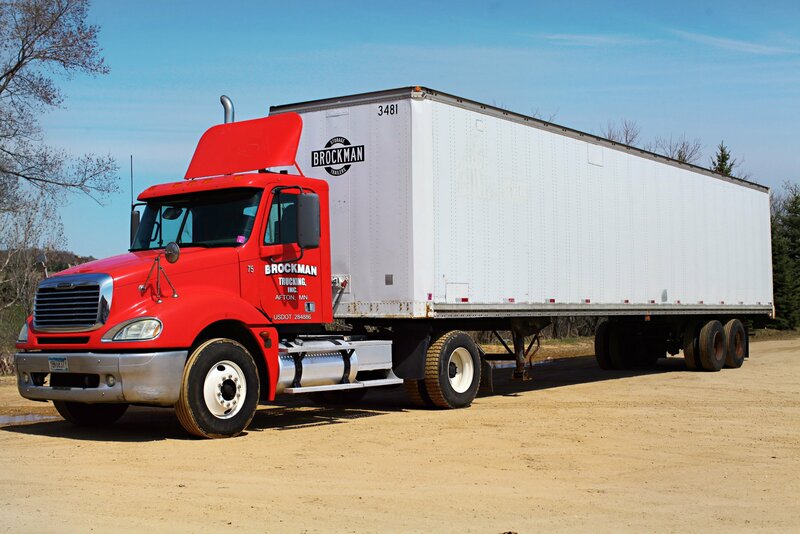 If you or someone you know would like a bid on a Brockman trailer at your facility for storing and/or shipping purposes, talk to one of our staff today. We’ll help you find the solution that’s best for your situation.